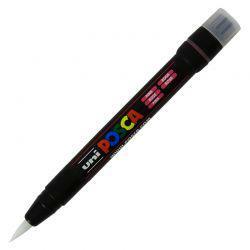 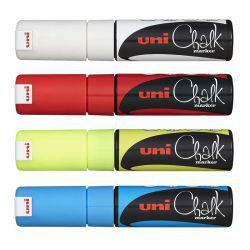 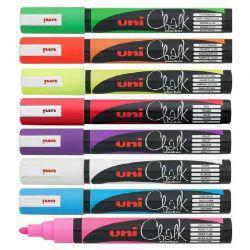 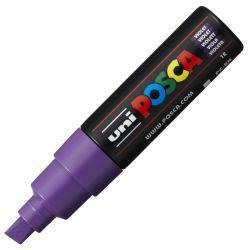 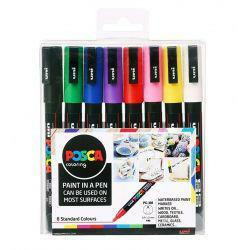 This pack contains 4 Wet Erase Jumbo Liquid Chalk Markers, each with a jumbo chisel tip. 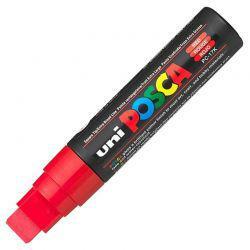 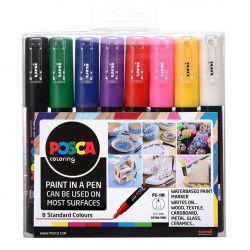 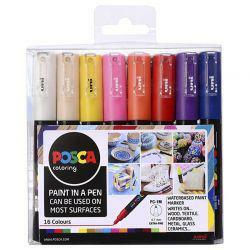 These markers are suitable for indoors and out and making them ideal for menus, advertisements, timetables and more. 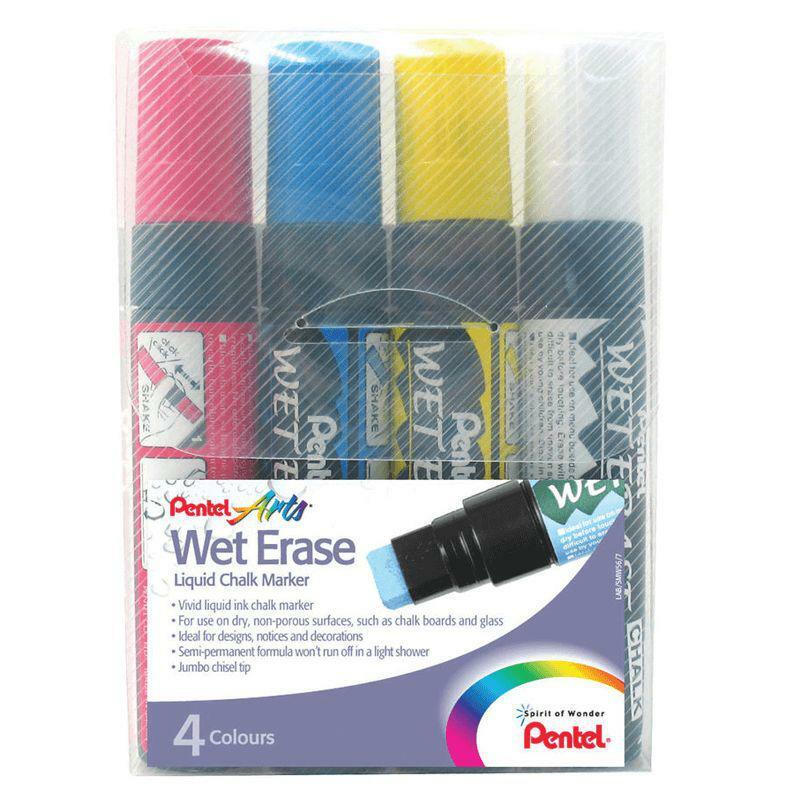 The semi-permanent formula won't run off in a light shower - the writing can be removed with a damp cloth or non bleach based household cleaner. 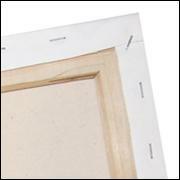 They have a valve activated flow which ensures no blobbing or leaking. These versatile semi-permanent liquid Chalk Markers are suitable for use on conventional slate chalk boards and glass only. 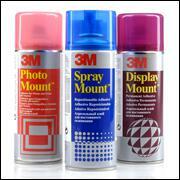 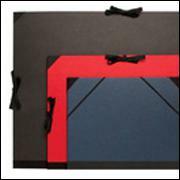 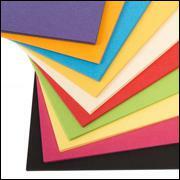 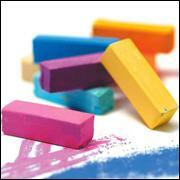 Do not use on vinyl and painted MDF ‘chalk’ boards. 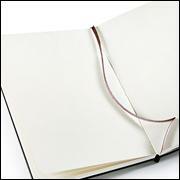 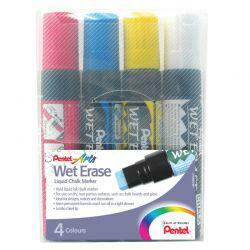 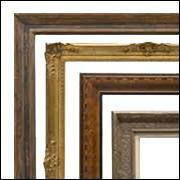 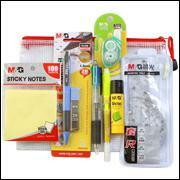 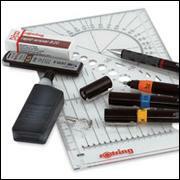 For more removal tips from suitable surfaces visit Pentel online. 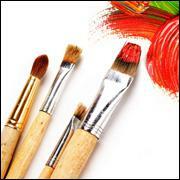 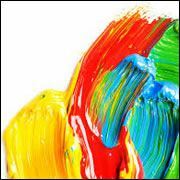 Pentel has been manufacturing and selling art materials for more than 60 years. 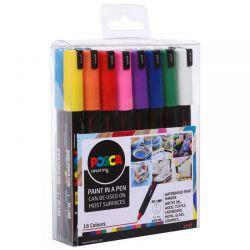 Established in 1946 as The Japan Stationery Co, the organisation started by selling school supplies such as watercolours, crayons and oil pastels. 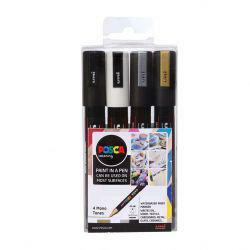 Artists, students, and craft enthusiasts are able to choose from a wide variety of Pentel Arts products, made from fine materials and available in brilliant colours. Consumers can purchase with confidence, knowing that all Pentel products are designed and developed to exceptionally high standards. 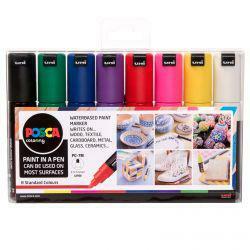 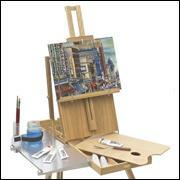 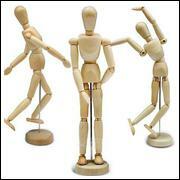 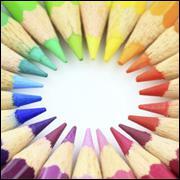 Design, draw, scrapbook, paint, colour and display. 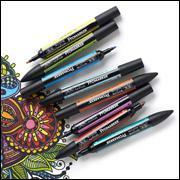 Express yourself with Pentel.